McALLEN — The city of McAllen is participating in a federal appeal against the state of Texas regarding Senate Bill 4, better known as the “sanctuary cities” law. The city of El Cenizo, a small city in Webb County located 20 miles south of Laredo, is appealing SB4 in the U.S. 5th Circuit Court of Appeals. McAllen was asked to participate as amicus curiae, meaning the city is not a party to the case but will assist by providing information to the court. Those participating, in addition to McAllen, include Baltimore, Chicago, Laredo, Iowa City, Iowa; King County, Washington; Oakland, California; Portland, Oregon; Santa Clara, California, the International Municipal Lawyers Association, the Major Cities Chiefs Association and the U.S. Conference of Mayors. The 5th Circuit of Appeals ruled in September that parts of SB4 can go into effect. In August, U.S. District Judge Orlando Garcia blocked the part of the bill that requires jailers to honor all detainers, which the 5th Circuit overruled. The appellate court scheduled a hearing for Nov. 6 to hear arguments from cities such as Austin, Houston, San Antonio and other cities as well as counties and advocacy groups that claim the law is unconstitutional. The amicus brief McAllen participated in argues that SB4 creates vast uncertainty, operational challenges for local governments, undermines local discretion and imposes significant financial burdens on local municipalities. 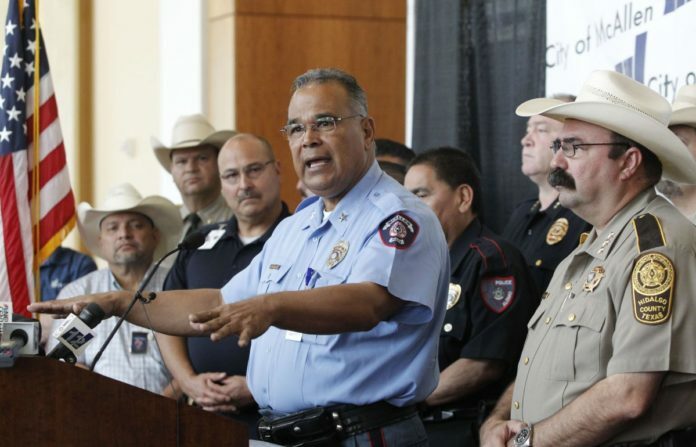 “SB4 strips local governments of their discretion to set sensible law enforcement policy based on the specific needs of their communities, mandating that they reallocate scarce local resources to take on the substantial costs of immigration enforcement,” the amicus brief McAllen participated in states. “By forcing local entities to follow sweeping state mandates rather than tailor their policies to local needs, SB4 undermines the community trust in local law enforcement that is critical to public safety.